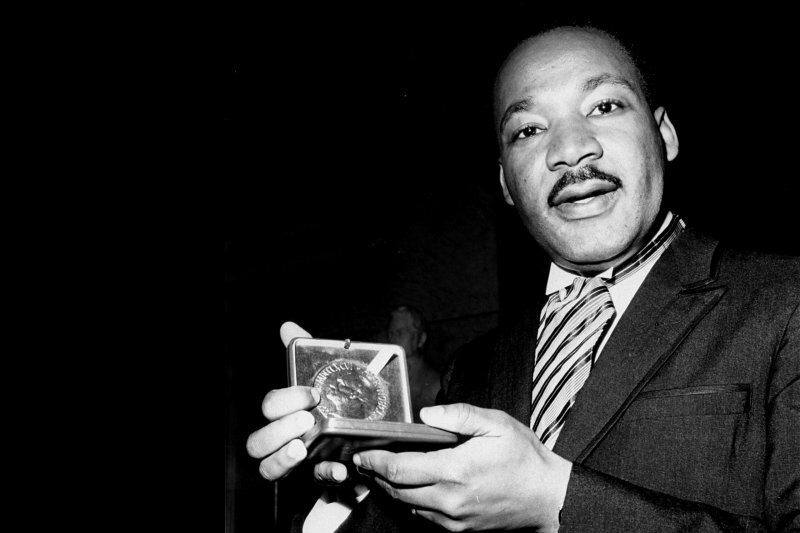 Nobel Peace Prize awarded to Martin Luther King, Jr.? He was 35 when he won the award, and at that time, the youngest person to receive it. Since then Mairead Corrigan, 32; Tawakkol Karman, 32; and Malala Yousafzai, 17 have won. The average age for winners is 61. There used to be a photographer that stayed in my bedroom while I slept, just in case I got a call from the Nobel committee or some other prestigious award but we were both disappointed. Or, at least, I was. The camera guy seemed happy with his stack of Polaroids. (It was a long time ago. Now that I’m older and wiser, I think I should have questioned his “news” credentials. Using a Polaroid seems kind of sketchy.) But I digress. King won the award for showing that a struggle can be waged without violence, for making the message of brotherly love a reality, and for bringing this message to all men, to all nations and races. Some men, especially prominent Jim Crow Democrats such as Eugene “Bull” Connor and Leander Perez weren’t so thrilled to hear King’s message. Connor, a former Birmingham, AL police commissioner said that the Nobel selection committee was “scraping the bottom of the barrel” when they chose King. Leander Perez, whom Wikipedia calls the “Democratic political boss of Plaquemines and St. Bernard parishes in southeastern Louisiana” said that King getting the prize “only shows the Communist influence nationally and internationally.” He credited (blamed?) communists and the “Jews who were supposed to have been cremated at Buchenwald and Dachau but weren’t” for the American Civil Rights movement. 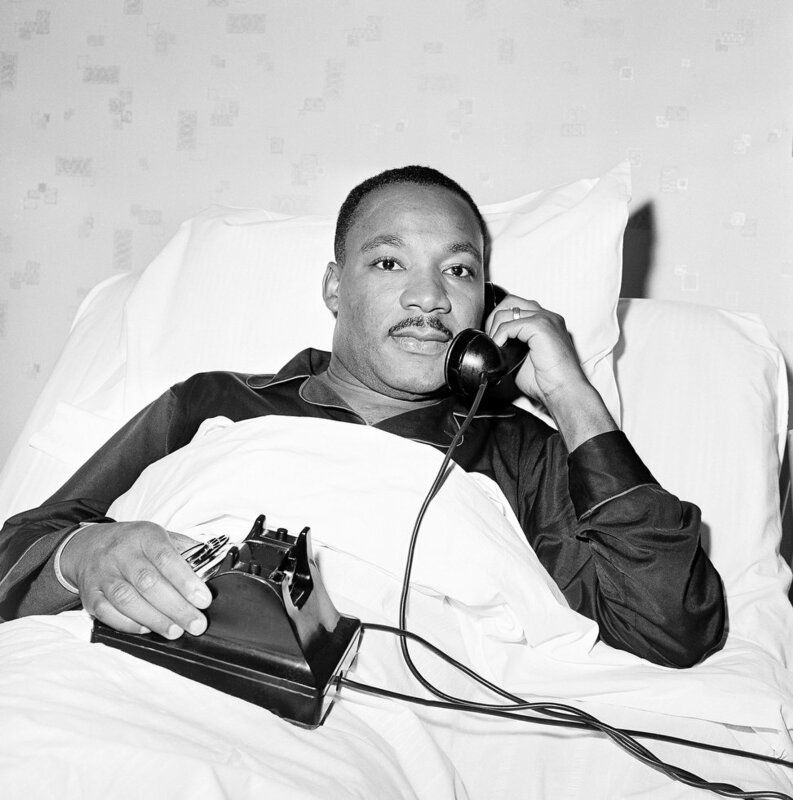 You can listen to Martin Luther King, Jr.’s Nobel Peace Prize acceptance speech here. Burger King Chicken Fries Discontinued? 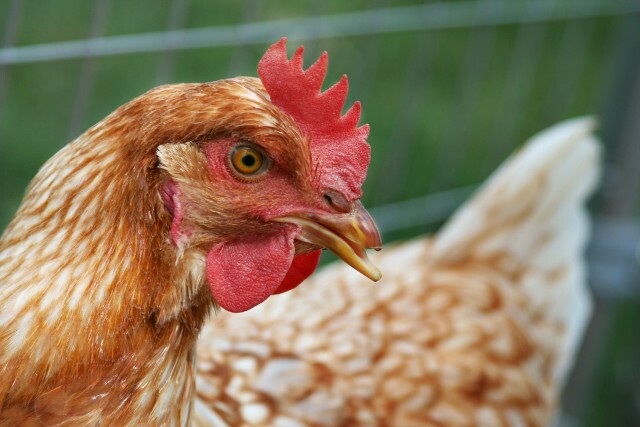 Chicken fries are back! And Burger King says they’re back for good. Maybe it was our post that convinced BK to bring them back…or maybe it was the thousands (millions?) of chicken fry fans. It could have been either, really. Chicken fries, the most perfect food Burger King has ever served was introduced in 2005 and discontinued in 2012. For a short time they offered a 36-piece party pack but the regular servings were six, nine, or twelve pieces. When you opened the container, the flip up lid had a place to hold your dipping sauce. Fans have been begging for more of this fried chicken goodness on Twitter and Facebook. They were “rewarded” with their return for about a month in 2014. Why does Burger King not serve this year-round when there is obviously a demand for them? We don’t have the answer to that but we can only assume they are working on a new menu option that is made with bitter tears of disappointment. Students wear a class ring beginning in their senior year of high school or college. During the senior year, you wear it on the ring finger of the right hand with the crest/insignia should be facing you (upright when you hold your hand in front of you). This is supposed to inspire you and remind you of your goal to graduate. After graduation you turn the ring to face the other direction to show you are ready to face the world, or to show pride in your school, or because graduation ceremonies are dull (except for the few seconds when they read your name) and you need to give the students something to do at the end so they won’t fall asleep. I don’t know how people are supposed to see that the crest is facing them, unless you hold your hand out like you’re expecting them to kiss your ring. This is only effective if you are the Pope or a Mafia Don. 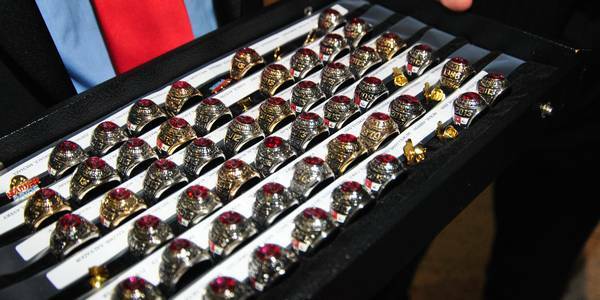 Only about 1/3 of students choose to get a class ring. Those who do may do so to show pride in their school. Or because it’s senior year and they’ve suddenly realized that their major will not provide them with many job opportunities and it’s nice to have a bit of parent-bought pawnable gold. Once upon a time, when gold prices were only a fraction of what they are now, a boy would ask a girl to go steady (to date him exclusively) and give her his class ring to wear. The girl would wrap string or yarn around the palm-side of the ring to make it fit her finger. If she also had a class ring, she might give it to the boy to wear on a chain around his neck. Do you have, or plan to have a class ring? For high school or college or both? If you designed your own ring, leave a comment about symbols you had the jeweler put on it and why.